My final post for this week’s series on mobile technology focuses on the great challenge and barrier facing uptake of m-learning: our organisation and Government policies on the use of technologies with students. Yesterday Dianne posted this comment “All of these devices are banned under our student code of behavior, although if cellphones are turned off and out of sight, they are not confiscated” in response to my post on How are we going to effectively use the mobile devices in our student’s pockets?. The constraints placed on Dianne with the use of mobile phones is not isolated, it is a global issue, and is not limited to mobile devices, increasingly, as educators, we are being preventing from accessing Internet sites which would enrich our students’ learning experiences [Image by Johnmulk]. Take for example my children’s schools. Both schools have implemented a Phone Policy which at one of the schools has been extended to include related technology such as PDAs. So as a teacher in these schools if you want to be innovative and actually use any of the mobile devices to engage your students you can’t because you will be contravening school policies. What they had for breakfast? What is the weather like where they are? The one thing they last purchased. With the added challenge that students get bonus points given messages back from people in other countries using language other than English is a powerful way to engage and empower our students’ learning. As an educator my attitudes over the years have changed. The policy in my organisations is mobile phones must be switched off in class. I have changed from the days when I enforced phones must be on silent, and would confiscated student phones if it interrupted class too much, or offer to answer their calls. I freely let students use their phones – amazing they can be responsible – they don’t disrupt the class – and it is far less disrupting than confiscating phones. On a side point – you can’t have different rules for teachers and students – if mobile phones are banned in classrooms because your organisation believes they are disruptive then that means teachers also should not be using their mobile phone in class! WALK THE TALK or change the TALK! Policy makers need to stop stifling innovation in the educational use of technology. Stop blocking video sharing sites like YouTube, podcasting sites like Podomatic, social networking sites like Twitter etc, reconsider views on mobile devices. It is far better to educate our students on appropriate use of these technologies than ban/bar their use. If we are going to overprotect our students, lets also stop them crossing roads. 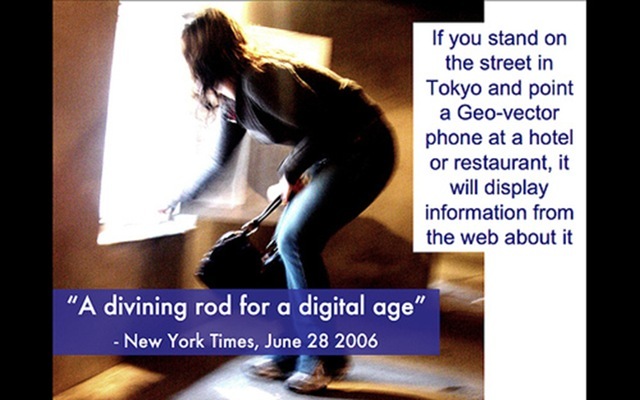 Image is by Lynetter – refers to the fact that mobile phones are the divining rod for the digital age. Why Does Technorati Mock Me? Pingback: University Update - Apple iPod - What can we do about policies that are stifling innovation in educational uses of technology? Pingback: another blocked site? feeling stifled? what can you do? I’m often working with young people in ‘one-off’ settings, running consultations and events that bring together groups from different schools / out-of-school settings for anything from 1 hour to 2 days. Here we tend to find ‘no mobiles in sessions’ emerges as an early item in group agreements (though quite often suggested by workers rather than young people). It strikes me though, supported by your thinking and experiences above, that there is real value in having a more permissive attitude towards phone and PDA use. Which is all a pre-amble to asking the questions: how long in your experience does it take to reach an equilibrium with phone use? Do you just let classes find the balance for themselves? Or do you introduce set guidelines for phone use? Thanks Alex for taking my post and elaborating on the topic. I really appreciate it – and you write so much better than me. To me it is about an attitude change – my students range in age from 16 upwards. There has been no need to achieve an equilibrium because once I stop enforcing or confiscating phones, there was no longer an issue. Students are acting responsibility – most times they choose to have their phones on silent – if they receive a call and it is important they quickly move out of the room without any disruption. Same for ipods. Once I used to take offense to ipods – especially if they were wearing them working on the computers. If I can not concentrate listening to music – then how can they. Reality is many of my students concentrate better listening to music. By changing our attitudes, then we realise that there are so many ways that we can engage and relate better with our students. Think of all the great activities you could do with your groups such as moblogging etc. I love having a chat with my students about which phone they are using and why. Interestingly, I’ve found (at least in our District) that many teachers actually don’t know what policies are in place. Case in point: myself! I created the Pay Attention video last spring because I think there are many things that we can do as teachers to better engage our students. One of the ways I think we can do that is through mobile phone and iPod use – academically, in the classroom (again, if we can’t beat ’em, why don’t we join ’em). Ironically, when I created the video, I didn’t realize that our district actually has a policy BANNING phone use during academic time! Can you believe it (see policy 2-A-7)? Now, I realize that my brain is small. Nevertheless, I have been teaching in this district for nearly 10 years. Why wouldn’t I have known about such a policy? As a result of the attention that Pay Attention has received, I will be (and have been) campaigning to have our District’s policy slightly modified (hopefully to look a little more like 2-A-8) – the process is a very SLOOOOW one, at best, but hopefully we can make headway. Mobiles are another platform just like computers. We need to teach our students how to create content as well as consume it on a variety of platforms if we’re to prepare them for life over the next 30 years. 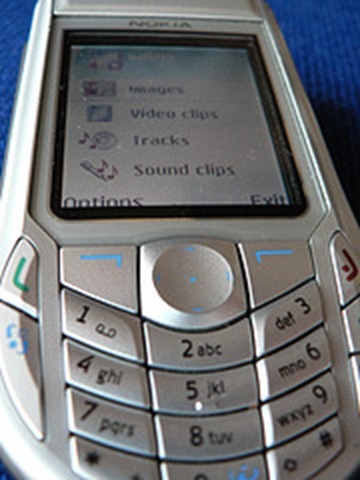 Pingback: Mobile Technology in TAFE » Blog Archive » Will Mobiles Be THE Tool of The Future?